This DrizAir 1200 3M High Airflow Filter (HAF) is a great preventative measure that should be changed regularly on your Dri-Eaz DrizAir 1200 dehumidifier, which can be seen listed below. Regular maintenance of, and changing your filter will not only protect the internal components of your dehumidifier, but it will also maximize the air flow, which results in more efficient drying. If filter is found to be dirty, gently blow out with an air gun, or use a vacuum to remove all dust and debris. Replace filter after cleaning it out 3 different times, or immediately following a mold remediation job. Do not wash filter! 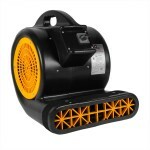 Return to the dehumidifier filters & accessories category for more options. This is a review for the Dri-Eaz 1200 Dehumidifier 3M Filter (pack of 1).